After a long, arduous battle with cancer, George Rohde decided to make a living doing what he loved most: observing the northern prairie. The avid field biologist honed his photography skills and sold his work at craft shows, most in the form of notecards which he also sent to his grandson Max. A Prairie Year: Notecards to Max is a collection of these engaging notecards that tell the story of the prairie over the course of a year. Beautiful photographs of animals in their natural state make up 12 chapters that take readers on a visual journey through the seasons on the vast grassland. 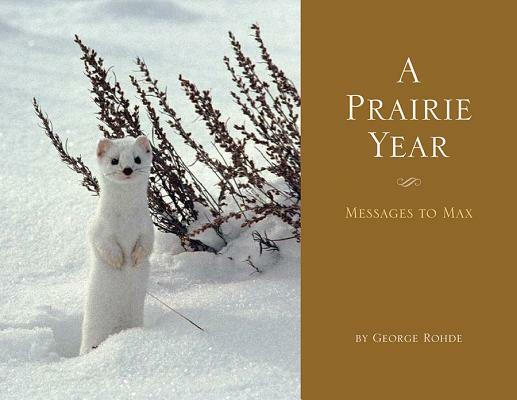 Explanatory text paints a picture of life on the prairie and offers Rohde's own thoughts and musings, allowing readers to share his wonder and love of this majestic grassland. A Prairie Year is an informative book for all who enjoy learning about the natural world around them.